After arriving at New Chitose Airport, there are 4 main options for transferring to Niseko. It is approximately a 2.5 hour journey, depending on road conditions. If you have not driven in winter conditions before it may be a good idea to take the other options. 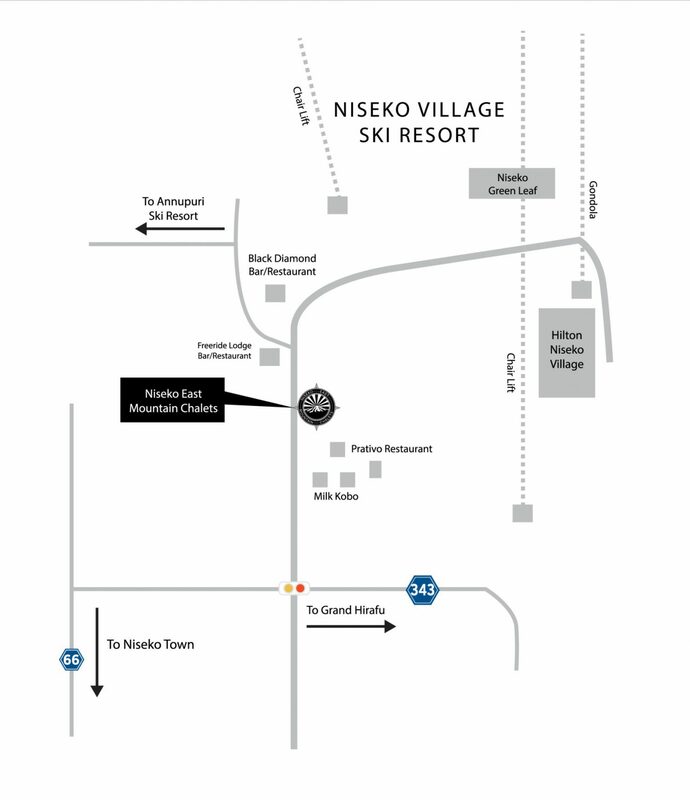 You can always rent a car for pick up in Niseko and use it just for local short journeys. After arriving at New Chitose Airport, proceed to the JR Station located within the International passenger terminal on level B1. 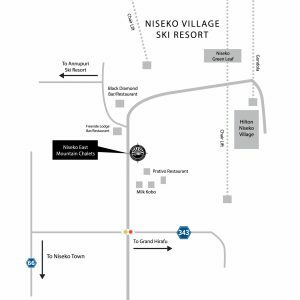 Purchase your train tickets to NISEKO STATION , which is the closest station to Niseko East Mountain Chalets, If your train does not stop at Niseko Station your next choice would be to buy tickets to KUTCHAN Station. After purchasing your tickets please call Niseko East on 070 200 80781 and we will organize to meet you and transfer you to the Chalets. Please note you will be reqired to make a brief stop and change platforms at Otaru station before continuing to Niseko. The total journey takes approx 2.5 hours. The Airport shuttle bus service is the most convenient and popular choice for travel during the Winter Season. Please arrange to disembark the bus at Niseko Greenleaf. We will then pick you up and transfer you to the chalets. Please note that International flights arriving after 19:30 and Domestic flights arriving after 20:30 will be too late to use the Scheduled buses. In this case you can make a reservation for a Private Transfer “ Mini Bus “ there are many companies offering this service, a little more expensive but can really suit large groups of travelers or those arriving too late to catch the scheduled buses.